Wash and Soak a moong dal in a 3 cup of water for at least 1 hour. 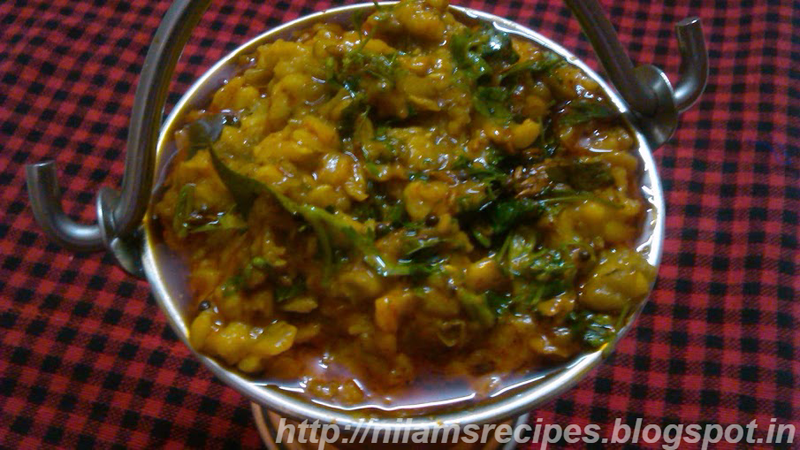 In a pressure cooker add soak dal along with water, ginger, chopped tomato, chopped onion, turmeric powder and salt. Cover the pressure cooker with its lid. Cook the dal in the pressure cooker, until 3-4 whistles. Simmer the heat to low and continue to cook for another 10 minutes. After 10 minutes turn off the heat. Once the pressure cooker settles down remove the lid stir the dal. 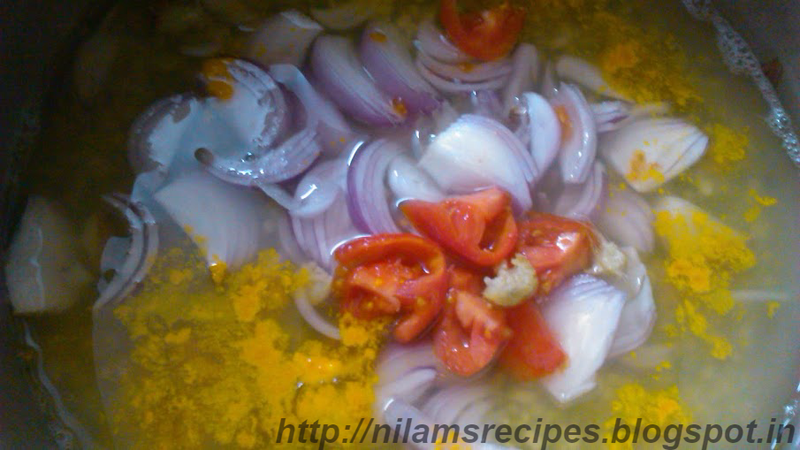 If the dal look thick add little water and stir it. For tempering In a small pan heat oil add mustard seeds once it crackle add cumin seeds, hing, curry leaves and red chilli powder. Switch off the flame ensures that the spice powder don’t get burned. 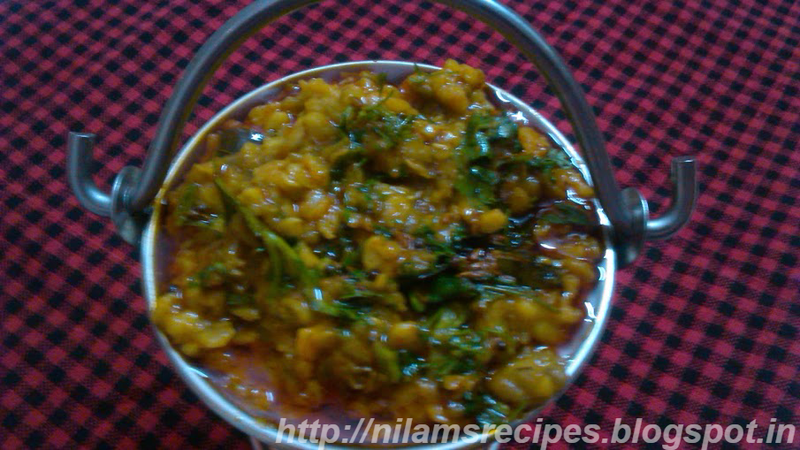 Stir it and immediately pour the mixture in the dal. 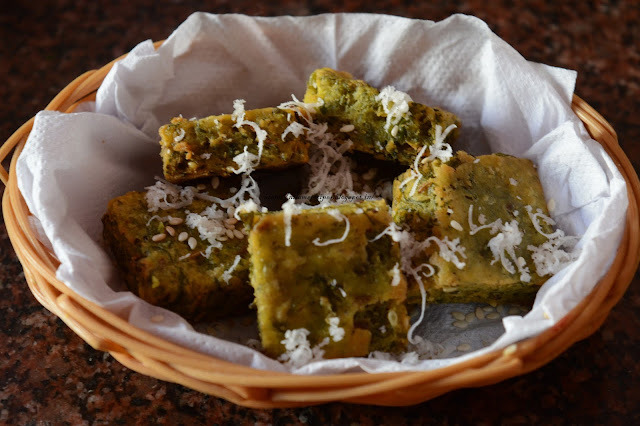 Stir it and garnish with chopped coriander leaves.